With so many diet trends out there, it's hard to decide which are fads and which are actually worth trying. Take the Paleo diet for example. Is it good for weight loss, or even healthy? Let's break down the Paleo Diet. You’ve probably heard of the trendy Paleo Diet, and you may know that subscribing to this type of diet means you’re supposed to eat like a caveman. But let's get specific. The diet bans any food that was unavailable during the Stone Age, which includes everything from processed foods and refined sugar to dairy products, grains, white potatoes, salt, and legumes. That leaves grass-fed meat and seafood, fruits and veggies, eggs, nuts, seeds, and naturally occurring oils (like olive and coconut). So, is it healthy? As with most diets, the answer isn’t as simple as “yes” or “no.” There are definitely good-for-you aspects, but there are also arguments against it. Some principles of the plan are definitely a step in the right direction, especially for people who subsist on a diet of junk food. Cutting out processed foods is certainly a good idea, and cutting back on refined sugar and salt is a healthy move. Natural protein, fruits, veggies, nuts, and seeds are all staples of a smart-eating plan. In terms of weight loss, the elimination of starchy carbs like pasta, rice, and white potatoes can help you to reduce your calorie intake. The Paleo crowd was among the first to embrace trends like making rice out of cauliflower and turning zucchini into pasta. Both of those techniques are among our calorie-saving favorites! Certain parts of the diet are pretty extreme. Going full-on Paleo means you’re nixing all whole grains, beans, and dairy products. Some experts say it’s too restrictive and that the diet is ultimately unbalanced. Another problem with the diet is that it's just plain unrealistic for some people. The total exclusion of major food groups and types of food makes it difficult to follow on a daily basis. Following the Paleo diet can be very expensive and time consuming if you’re strict. You have to prepare all of your food from scratch to make sure you’re not eating anything from the no-no list. From a weight-loss perspective, simply following a Paleo Diet won't necessarily result in the number on the scale going down. The basics of weight loss come down to calories in versus calories out, and there are plenty of high-calorie foods on the Paleo diet: nuts, oil, and certain cuts of meat, for example. While those are fine in moderation, it's easy to overdo your calorie consumption when your choices are limited. Choose lean cuts of meat and poultry. Red meat in particular can be very caloric if you don't pick the right cuts. Follow guidelines and top tips for meat eating. 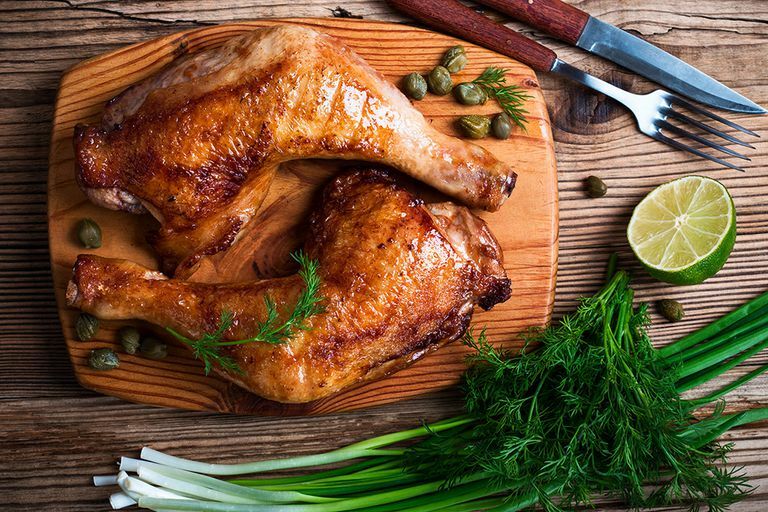 When it comes to chicken and turkey, white meat is a better bet than dark, and ditching the fatty skin is always a good idea. Practice portion control. Paleo staples like nuts, seeds, and oil are very calorie dense, which means small servings contain a lot of calories. Use measuring spoons and a food scale to make sure you're not overdoing it. Pay attention to portion-control pointers that really help. Track your calories. Whether you're trying to lose weight or simply maintain, keeping an eye on your calorie count is the way to go. In fact, keeping a food journal is one of my top recommendations when it comes to weight loss or maintenance.